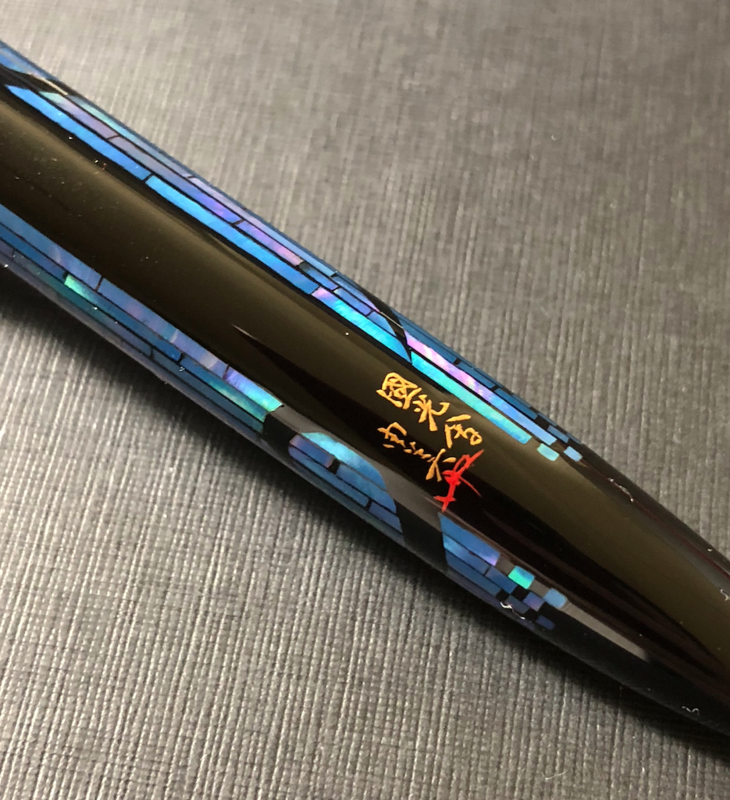 The Namiki Yukari Moonlight is a stunning pen. The abalone shell is hand cut, arranged, and inlay with black lacquer. 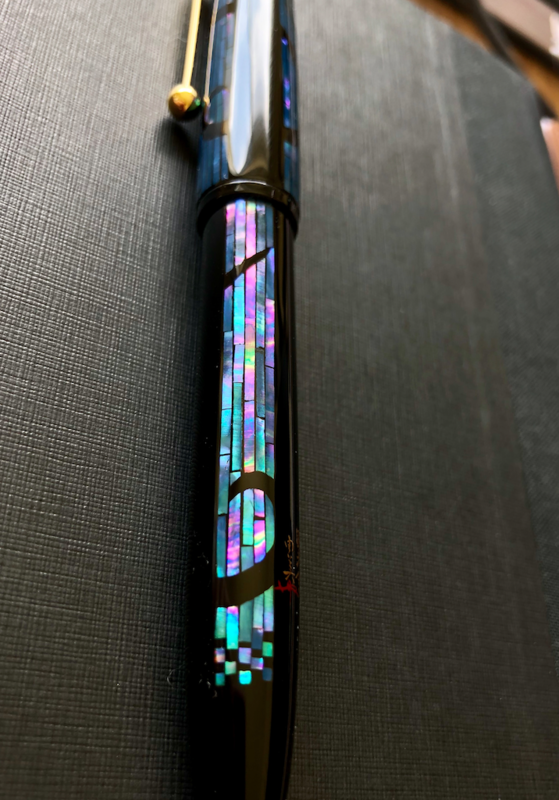 All abalone shell are cut and arranged at one direction, so when the pen is under correct light, all pieces of radens are glinting. 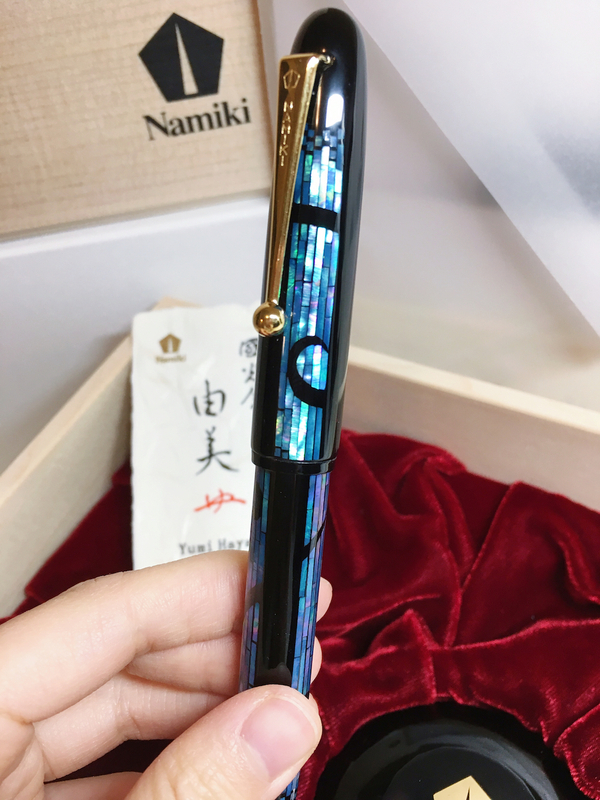 The color of abalone shell shifts as you turning the pen. Blue, green and purple are the dominant colors, very pretty. 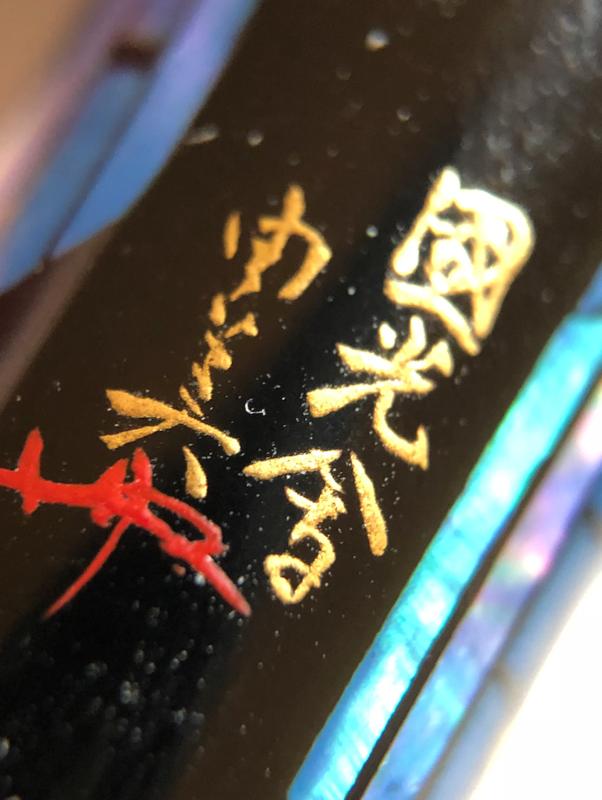 The contrast of black lacquer and colorful raden is amazing. 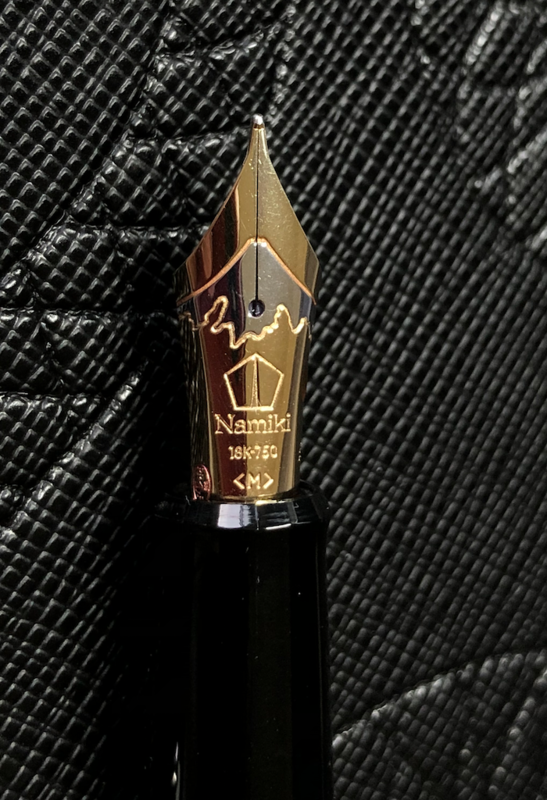 The nib is buttery smooth, writes like a dream. The medium nib is close to western Fine. The pen is in near mint condition, well stored in wooden box. 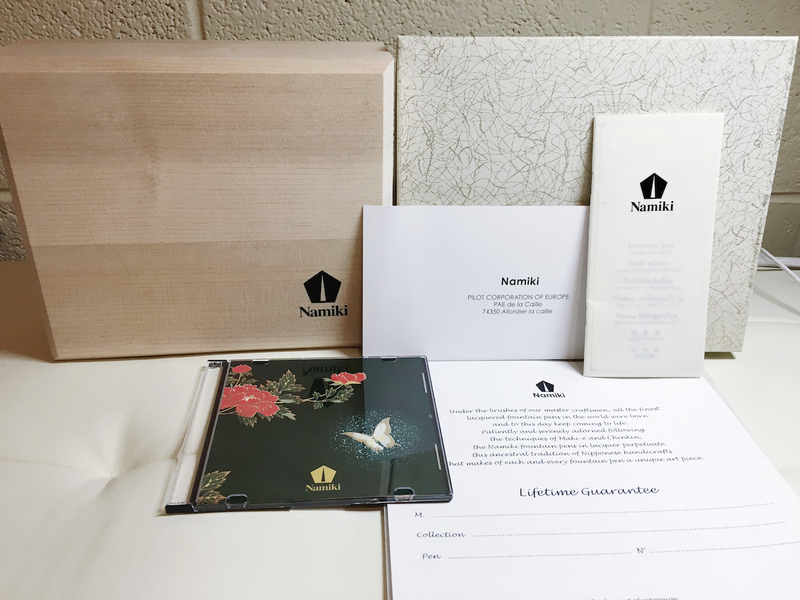 The pen comes with the original wooden box, ink bottle, artiest signature card, CD and original packing. 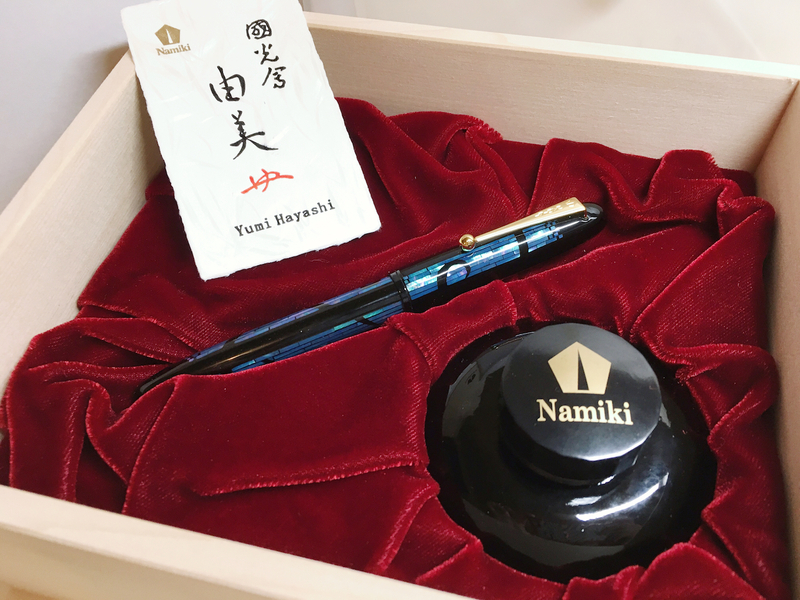 This pen also has Namiki lifetime warranty.